Egypt. 22000 BC. The shape-shifting priestess Pantha guards the faithful of Sekhmet from demons and monsters. 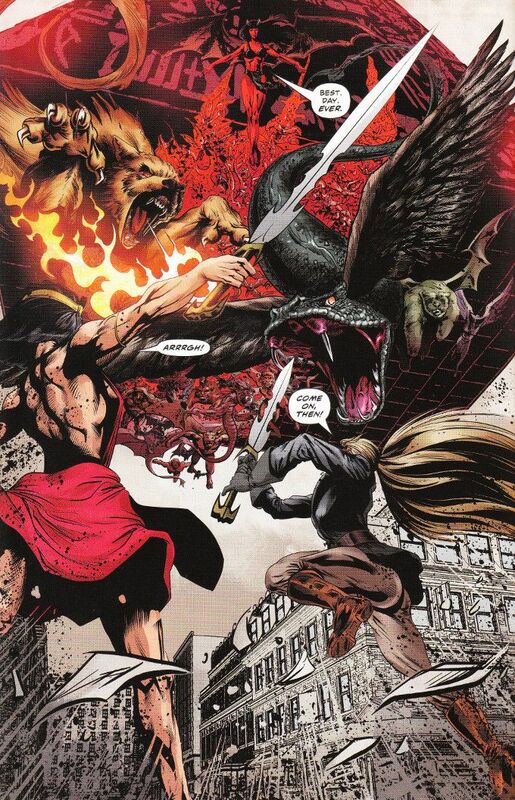 Monsters like those in the thrall of Purgatori, who even now is invading a tomb right under Pantha's nose! London. 1913 AD. Jane Porter - the newly dubbed Lady Greystroke - has just arrived in town, piloting one of Wright Brothers' new aeroplanes. She had been planning to use this new vehicle to deliver supplies to her husband in the jungle, but the sudden appearance of a pyramid over the skies of London changes her plans. 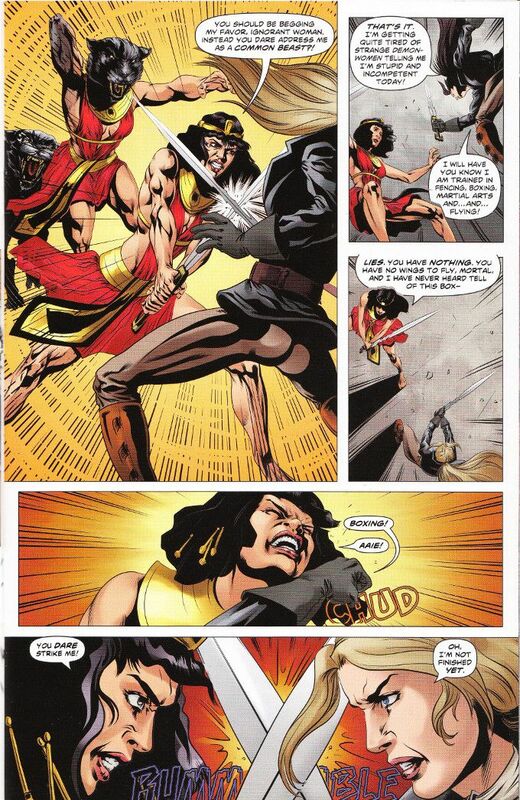 Swords of Sorrow: Pantha & Jane Porter follows the standard team-up formula used in most team-up comics... to say nothing of most of the Swords of Sorrow tie-ins thus far! The heroes meet, have a misunderstanding, fight and then join together against the real enemy before becoming, if not the best of friends, then at least allied acquaintances Thankfully the script by Emma Beeby moves beyond such trite plotting, bringing out the personalities of both heroines.whilst giving them a chance to showcase their skills. I've seen several comics that paired Rod Rodolfo with Nanjan Jamberi before and this is the best of the lot. The overly heavy inks I noted before in previous works Roldfo drew are not as pronounced here. And the colors are much more vivid than in the duo's last pairing. All in all this is an enjoyable slice of pulp fiction.